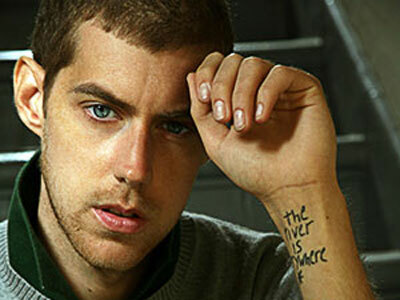 Piggybacking off the formula he established with his group Something Corporate, McMahon started Jack's Mannequin to showcase some of his songs that he thought didn't fit under Something Corporate's motif, especially the songs that contained personal lyrics. Thus, Everything in Transit was born. A concept discussing his many personal issues he discusses immediate issues ("I wake to find it's another four aspirin morning") and some strangely predictive of his future struggle with cancer (the album's opening lines "She thinks I'm much too thin/she asks me if I'm sick). It's not a groundbreaking concept album, but it's a brilliant display of the power of one man and some sidekicks. Although his two following albums failed to achieve the level of Everything in Transit songs like "The Resolution" and "Crashin" from The Glass Passenger stand as pop gems. Sacrificing metaphor for more straightforward lyrics on People and Things wasn't because of a lack of creativity but because of lack of necessity. McMahon grew to the point where he need not obscure anything and it paid off. "Amy, I" may be the best song he's ever written and "Platform Fire" wasn't far behind. Thankfully, McMahon's blog post merely eulogized Jack's Mannequin and not his entire musical career. Although his pseudonym helped make piano pop progress to formerly unattainable heights it's time once again for McMahon to find a vessel for his thoughts that are everchanging; just as with Something Corporate, Jack's Mannequin no longer fits how Andrew McMahon feels. What's left behind are patches of thought from a brilliant mind that's been strained almost too far. The musical arrangements make Jack's Mannequin seem like easy listening, but there's so much more to the band than meets the ear.